A Pair of J.T. 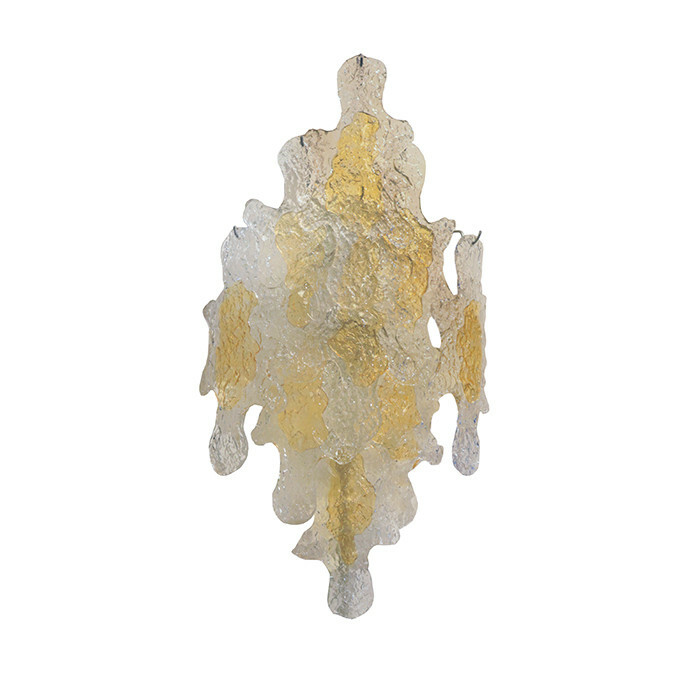 Kalmer glass wall sconces. Textured clear and gold glass panels hung over one another. Dimensions: H:25 W:13½ D:5 Inches.